Minding your business is one of those life mantras that you can never be reminded of enough. I figured what’s one more reminder right? We’re surrounded by other people’s business, whether it’s intended for us to know about it or not. For the most part, you manage to avoid it. Other times, you can’t because folks bring their issues/problems/concerns to your emotional doorstep and leave them there for you to sort through. It’s emotionally and physically draining & on top of that, you don’t know what to do about the mess left on your emotional doorstep. I usually experience two things during this process. One, you want to help because you want the best for those involved. Nothing wrong with that. Two, you need to stay out of it. No matter how much you may care about those involved, getting involved is going to do harm to you and your well-being. 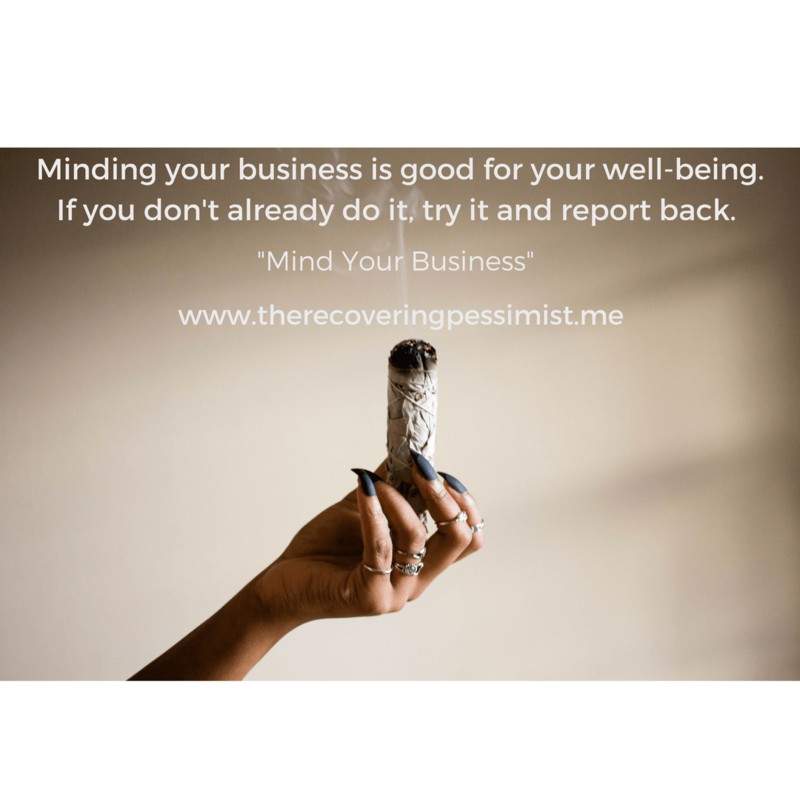 Minding your business is good for your well-being. If you don't already do it, try it and report back.